I’ve been blogging about food places a lot lately. So I thought I would combine the last two food places I tried in St. Louis. Of course one of the food places is a taco place. You know I love me some tacos! However, I think I might need a break from trying taco places (who am I kidding! That’s a lie). Once again I am writing this on my iPhone. It’s about 9am and everyone is still sleeping, but I couldn’t fall back asleep so I thought I would blog a bit. I’m proud of myself for blogging this much over vacation! I somehow can find the motivation while I’m super busy but can’t when I have nothing to do…but that’s another blog post. 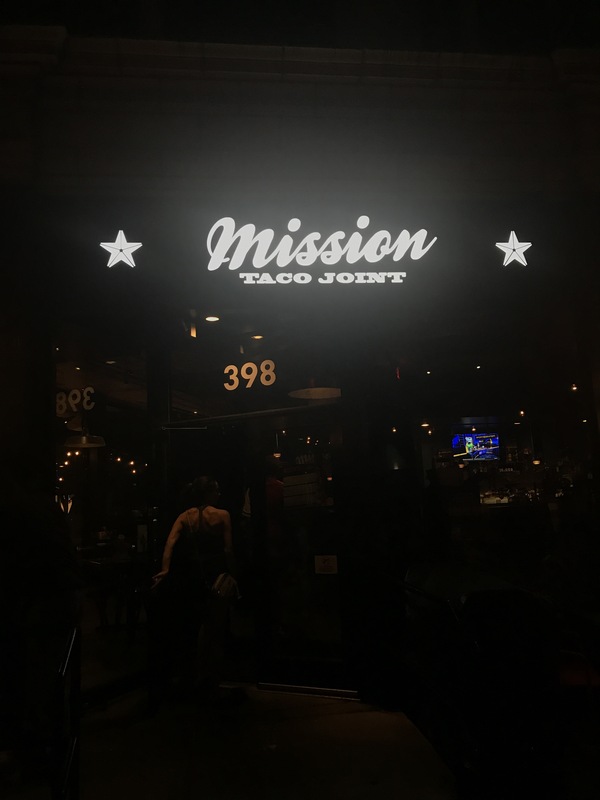 Anyways Megan’s sister Nina recommended we try Mission Taco. She thinks it’s better than Barrio. To us that is saying a lot because we absolutely love Barrio. We went to Misson Taco past 10pm because tacos are only $2 then. I got two beef brisket tacos. They were smaller if we are compareing them to Barrio, but all of the other Taco places I have been trying are smaller than Barrios. So thank you Barrio for making your tacos a reasonable size and price. And if you’re reading this and you haven’t been to Barrio you need to stop what you’re doing and go there right now (or when they open). Misson Tacos tacos were flour, which I’m not a fan of from off the back. So maybe that’s what I didn’t enjoy the taco. 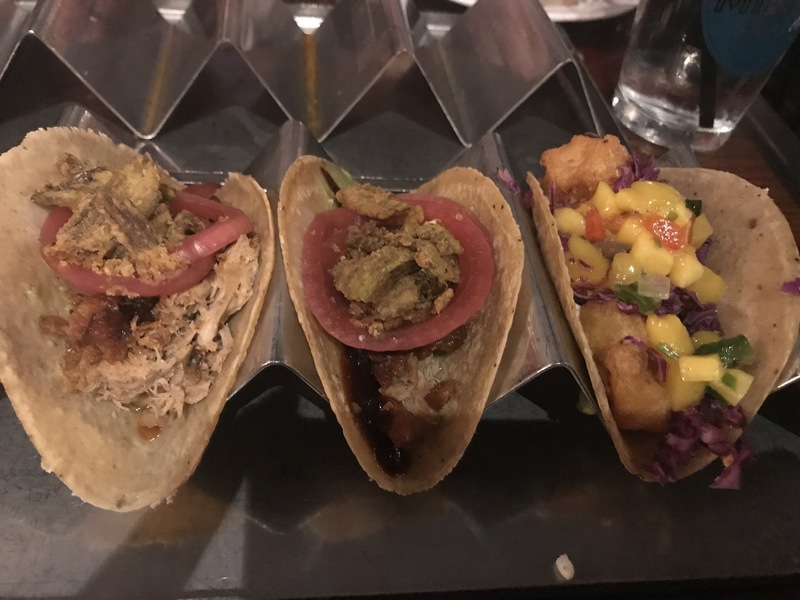 They weren’t the worst tacos I’ve ever had, but I thought they could of been better. They didn’t have much on them other than the beef, a sauce, and an avaocado slice. Maybe I just picked a plain option but I didn’t think it was as good as Barrio. Barrio always seems to win! We also ordered queso and salsa. 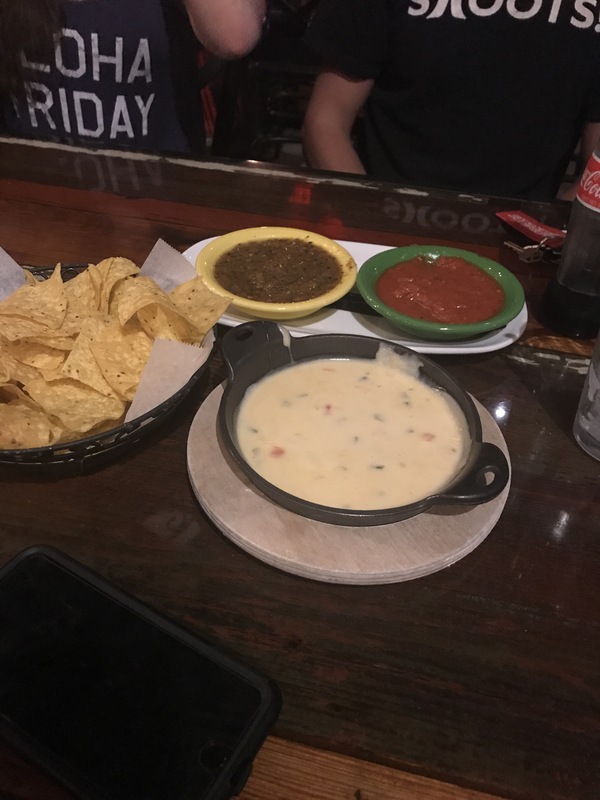 The queso was similar to the one we had in Indianapolis. So it was very Chesey and thick. So once again Barrios queso wins! Barrio just has the absolute best queso in the world so it’s hard to compare anything to it. The salsa was super spicy. So I didn’t really eat a lot of it because I don’t like my salsa to be spicy. 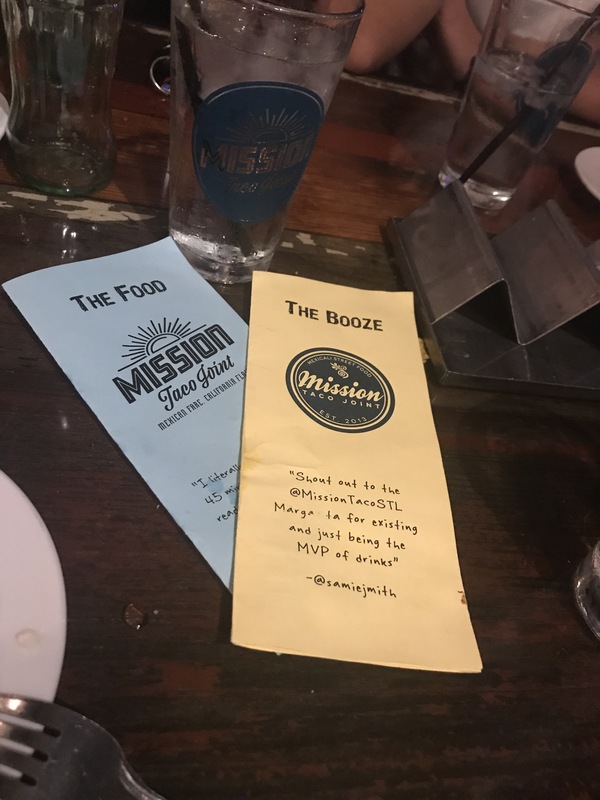 So that’s a wrap on Mission Taco. 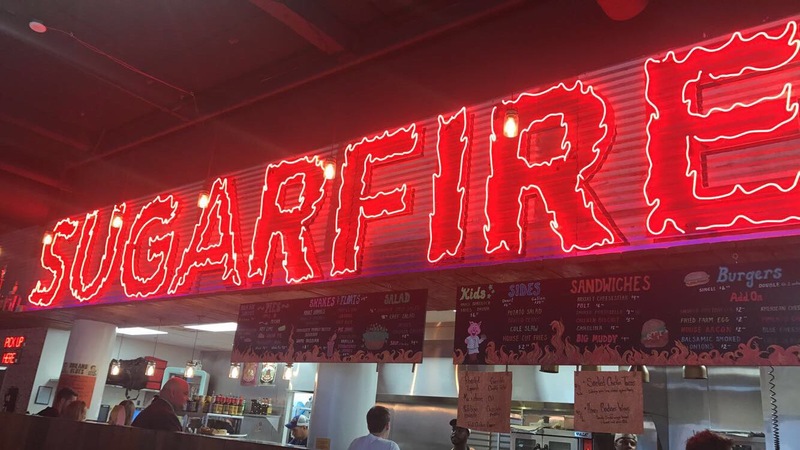 The next place I’ll write about is in downtown St. Louis called Sugarfire. It’s a BBQ place. Southern BBQ is always the best. I got ribs and they were delicious. They came with fries as the side. I don’t really have much to say because I don’t have anything to compare it to but I thought they were really good. I haven’t been to the BBQ place on East Fourth in Cleveland yet, but other than that place Cleveland doesn’t have a lot of BBQ places! Sugarfire wasn’t too expensive. 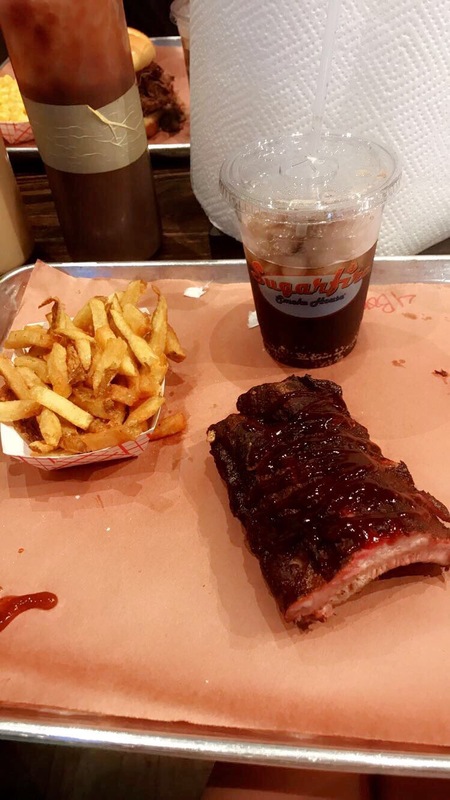 My meal was about $14, which to me isn’t bad for ribs, a side, and a drink. What’s your favorite taco or BBQ place? Share in the comments section!